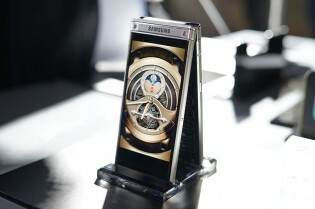 Samsung introduced the W2018 flip phone back in December 2017 with a variable aperture that later made its way to the Galaxy S9 and the Galaxy S9+. This year, the phone, codenamed as Project Lykan, will have a dual main camera setup and will keep the design with two screens and T9 keyboard. 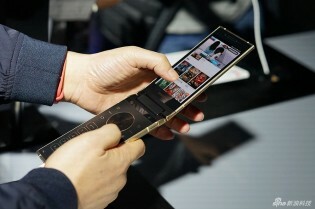 The new phone, codenamed SM-W2019 looks like it has a Bixby button on the left side of the upper flip panel, while the volume rocker and power keys will occupy the right side. Looking at the images, the dual camera looks similar to the Galaxy Note9 where one of the sensors has the variable f/1.5-2.4 aperture, while the other is fixed at f/2.4 but comes with a telephoto lens with 2x zoom. Specs are yet to be issued by Samsung, but given the phone will be China-only like all of the W-series smartphones, it will skip the Exynos 9810 and will come with Qualcomm’s platform Snapdragon 845. 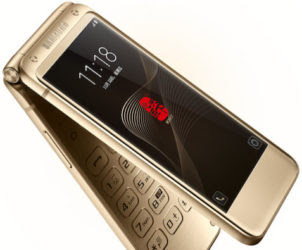 It will also have fancy Rose Gold design and we’re expecting the phone to reach a price tag of around CNY17,000 (nearly $2,500) since it is targeted at people who can afford that amount of money.